Has The Shard Shafted London? 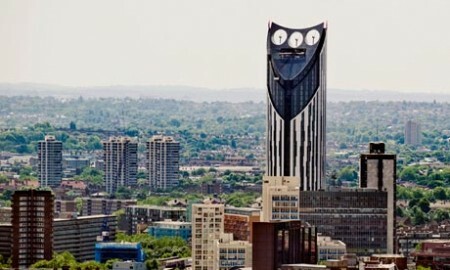 An article in The Guardian highlights what a lot of Londoners have been feeling about their city lately – that when good buildings are constructed they’re taken to the residents’ hearts, and when bad ones appear they’re reviled. The Gherkin, which replaced the ugly, bombed-out Baltic Exchange, turned out to be a beautiful addition to the city that was instantly accepted as part of the skyline. There’s something almost modest about its graceful twisting shape, and the way it slots into its surroundings. The embarrassing Strata tower, shaped like the kind of electric shaver you might find in the Candy brothers’ bathroom, with its eco-turbines that never get turned on because apparently they’re too noisy, wrecked the view from Charing Cross Road, but then came the big blank Shard – built beyond all proportion to its surroundings, still empty.At least that is supposed to look like something – a church spire, according to its architect. But now a slew of really lousy-looking new skyscrapers have been approved. 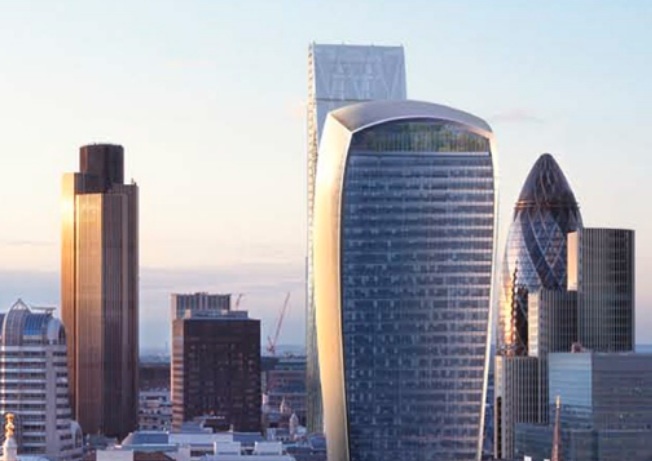 There had been an idea that tall buildings should be in a cluster, forming a teardrop shape that would reach its peak near the Bank of England. But that quickly went out of the window. New York appears more cohesive because much of it was built in the same era – but London is not New York. I was upset when the view from the green in the Tower of London was shattered by the NatWest Tower – it had survived unchanged for centuries because the Tower sits so low in the ground – but who can argue for a mere view when there’s big money at stake? I read a book years ago in which an architectural “genius” designed radically innovative buildings using a “secret and intuitive” method which he was loath to share. Turned out, he had a collection of variously shaped wooden blocks…he would just toss them together, then realistically render (his only true artistic talent) them as a structure. Seems that modern architects use the same technique, but with the aid of a computer…they cobble together whatever shapes strike their fancy, apply to the design whatever vague sensibilities penetrate their highly insular world-view, then foist them upon the world…much like a novelist deciding he’s going to tell a story using only 4- and 5-syllable words, not for any rational or artistic reason, but just because he can. Pet peeve of mine. Sure, every building going up doesn’t have to be a gem, but let’s not have rubbish for rubbish’s sake. How dare you! I’m sure Spongebob would MAKE any production, make it I tell you, of Hamlet that he deigned to appear in!